There is a feature in the Inner West Courier this week regarding a proposal to name two new streets in Homebush with reference to the former EMI Factory. The site on Parramatta Road Homebush has been redeveloped with multi-storey units creating a need for two new streets. 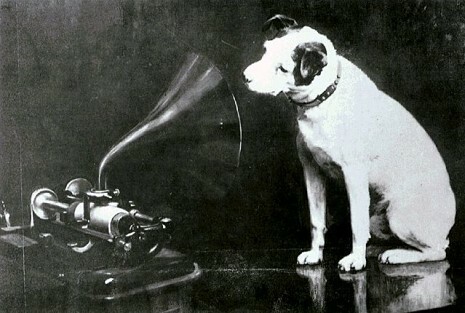 The proposal from Strathfield Council concerns naming the primary street Nipper Street, in reference to the famous EMI/HMV/RCA logo of the terrier (Jack Russell or Fox Terrier breed) and the laneway, Grammophone Lane, after the original Columbia Grammophone Recording Studio and Record Factory, which was later renamed EMI. For more information on the history of the site, click here. This story was covered in this week’s Inner West Courier, EMI Factory – streets naming.